The iPad automatically moves the orientation of the screen when you turn it sideways or upright. This is a nice feature but sometimes you may not want it to do this. You may want to lock it to one position. 1. From the Home screen or the Lock screen, swipe up from the bottom of the screen. 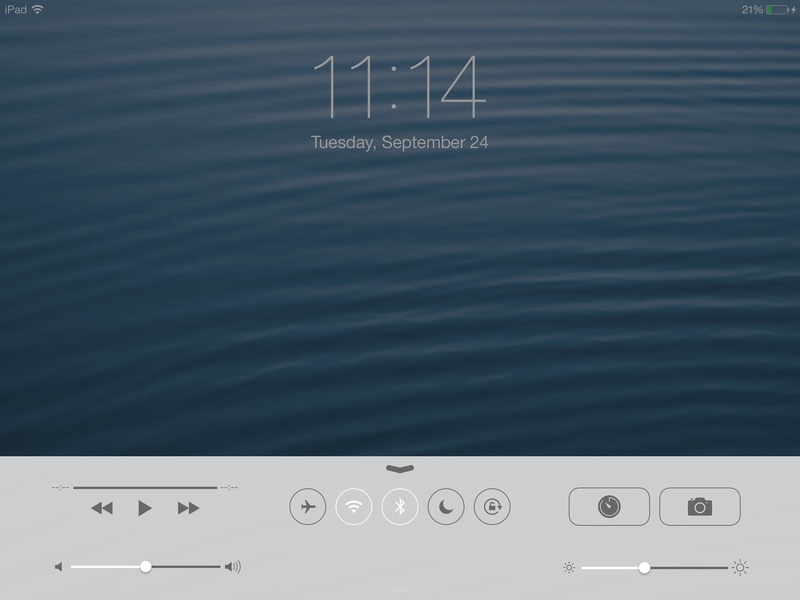 Access Control Center from either the Lock screen (above) or the Home screen (inset) by swiping from the bottom of the screen. 2. Tap on the Rotation Lock icon, outlined in red in the picture below. The icon will turn white to indicate that it has been activated. Tap it once again to unlock the rotation lock. 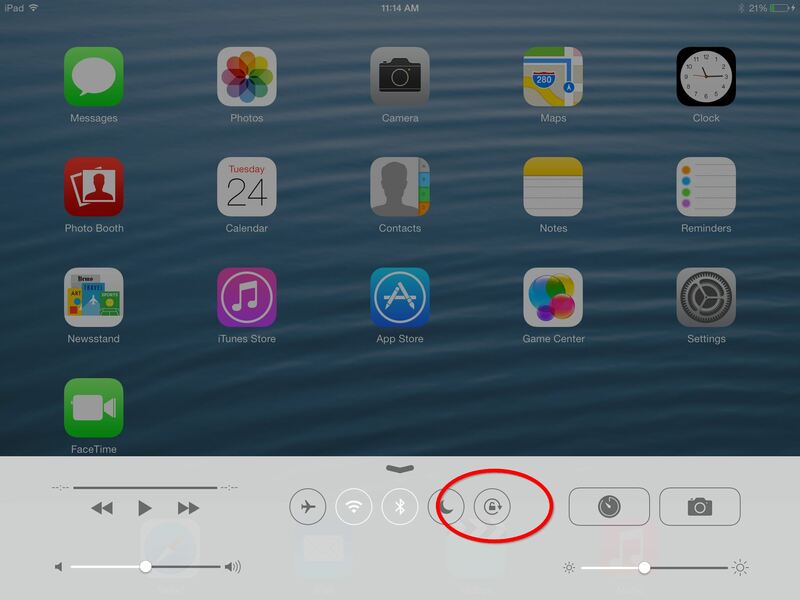 Tap the rotation lock icon to lock the iPad's screen in its current orientation. The following video will demonstrate this feature.